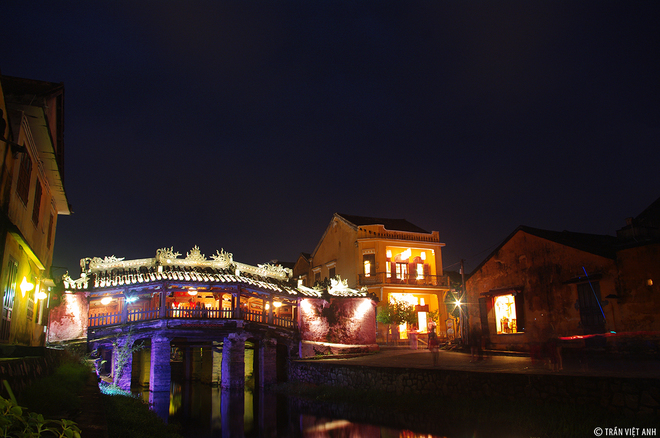 The ancient town of Hoi An has been honored by a prestigious US travel site as one of the top 20 places in the world. When the night falls, the town has a very different beauty. 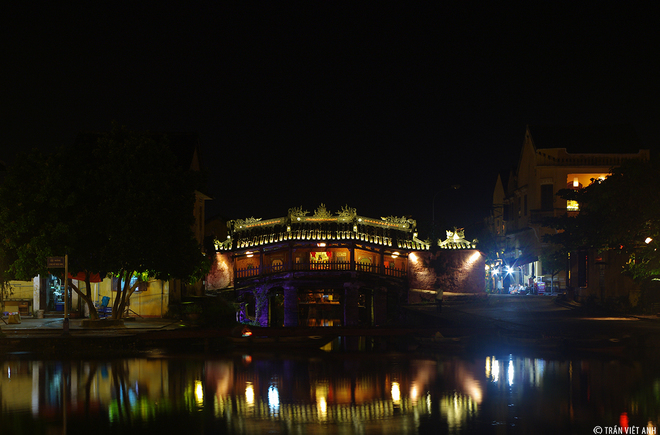 The first place you should visit at night is Chua Cau (Bridge Pagoda), an iconic structure. The bridge, built in the 17th century, is illuminated by constantly changing colored lights. You will see many couples taking wedding photographs and children who sell lanterns here. 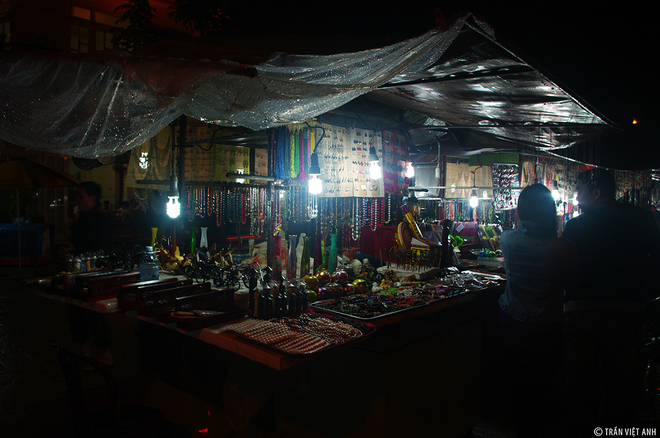 The night food market on the bank of the Hoai River is also worth a visit at night. 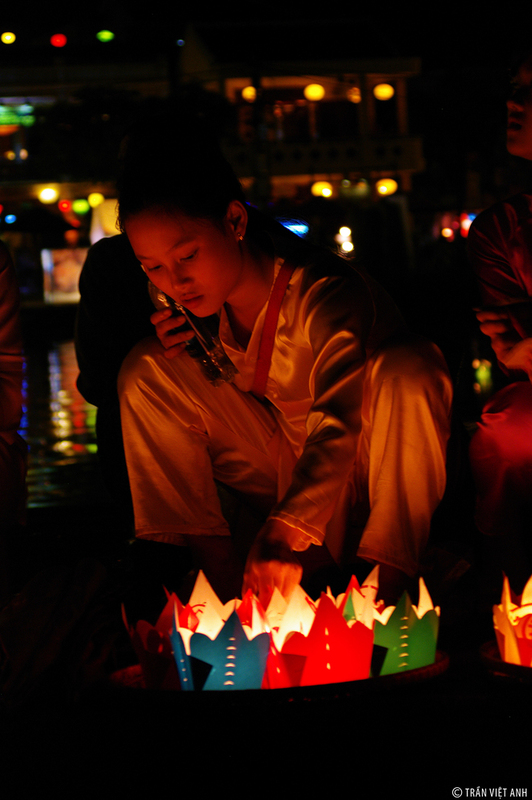 Walking along the Hoai River at night, you will see cute children wearing ao dai and conical hats holding a basket of lanterns for sales. You can take part in “bai choi,” a traditional game, at a big yard near the An Hoi Bridge, and purchase a card and listen to the game master singing a folk song. The song ends with the name of a card and if you have that card, you will win the game and receive a gift. 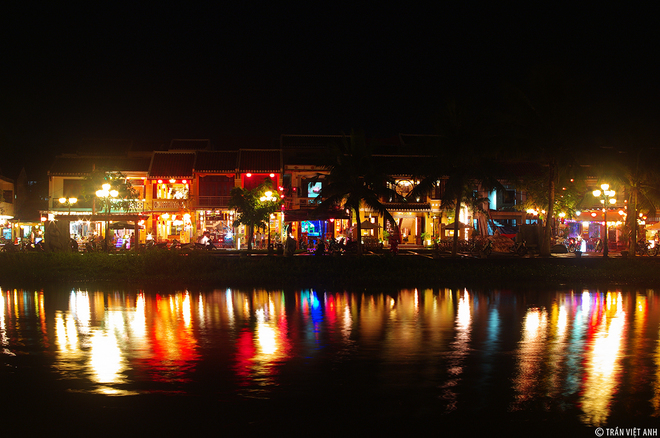 Bach Dang Street at night is dubbed “Vietnam’s Venice”. This is the lowest area in Hoi An so the road there is flooded every night. On the other side of the Hoai River is Nguyen Phuc Chu Street, home to many restaurants. There are many lantern shops in An Hoi Street. 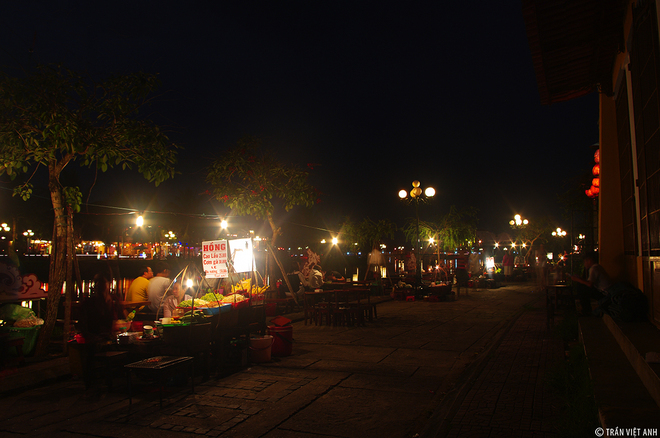 The Hoi An night market. 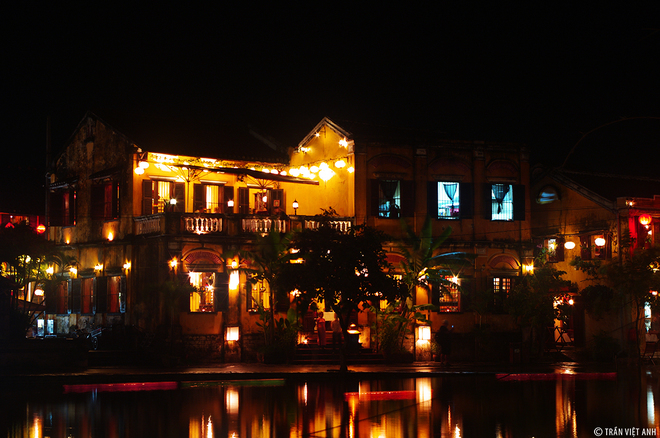 Hoi An is very beautiful at night. Perhaps it is the most beautiful when all stores close and there are no tourists, but you would then have to be on the streets at 1-2am.